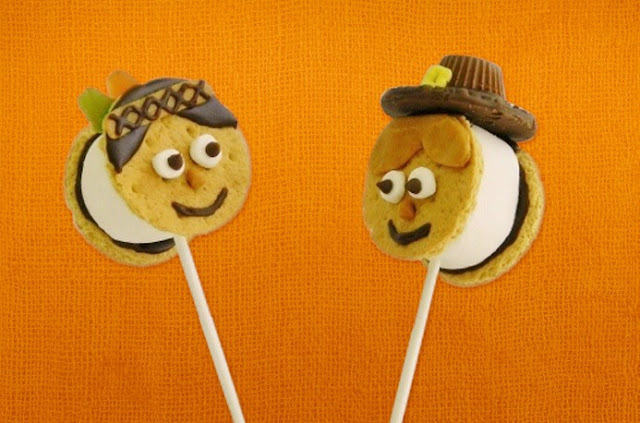 Jill put some Thanksgiving fun on a stick with these cute s'more pilgrim pops. They would be cute without the sticks too. And older kids could make their own as part of the Thanksgiving festivities. You can check out how to make these pilgrim s'more pops over at Snack Picks.